In a nutshell, location marketing is the process of optimising the online presence of a business’ physical locations. This helps to connect every business location with customers in the area who are searching for the goods and services that the business provides. Local SEO involves creating accurate business listings for individual brick and mortar stores (or locations belonging to the business) on multiple online directories. The aim of this tactic is to try and rank higher in search engine results pages so that your business is more visible when consumers search for goods and services in their area. This practice is key to optimising your business presence online. Why Is a Location Marketing Strategy Crucial? Search engines are getting much better at identifying what consumers are looking for online and how to provide it to them. By relying on optimised information from businesses, search engines are able to enhance the user experience and provide consumers with what they need, when they need it. The more accurate businesses are with their location information, the more they will be favoured and rank higher in listings. When you optimise your business for local SEO, you are reaching consumers who are looking to purchase a product or service you sell, from the location you are selling it. HubSpot reveals new data from Google that 5 out of every 10 consumers who search online locally for goods and services will visit a store within 24 hours. This data suggests that a large portion of consumers who are ready to purchase are using local search to determine where they can find the product or service in their area. If your business does not have a strong online presence locally, a large portion of ‘good fit’ consumers who are motivated to buy products or services you supply are potentially visiting your competitors’ stores. This is not because you don’t deliver a good product or service, but because your competitors are being seen online. Location marketing can be an incredibly effective way to increase your business visibility online and, if these 5 signs below are anything to go by, it might be time to consider prioritising a location marketing strategy for 2019. In order to understand what potential customers are searching for, where they are making purchases and why, it’s important to look at the factors that influence why some businesses are thriving online and others are not. For instance, when a consumer types in “coffee near me”, “restaurants near me”, “clothing stores near me”, they are presented with a list of physical stores in their local area and the ratings of those stores. 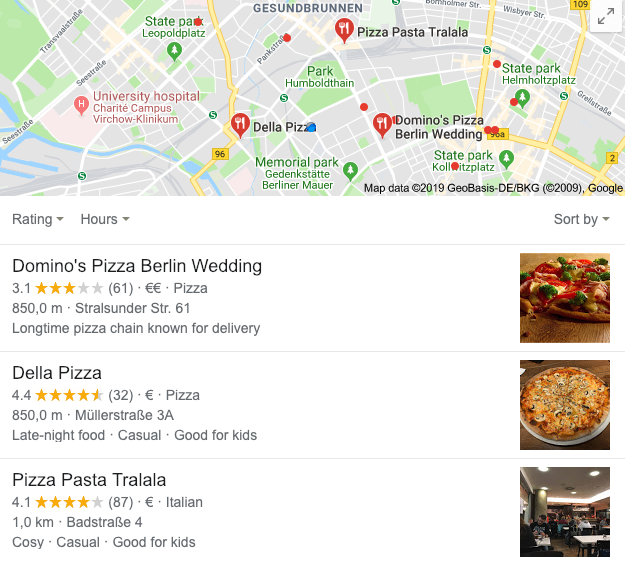 When conducting a Google search, a user that searches “pizza near me” will only be presented with three options - with a drop down menu, ‘more places’, containing further options. 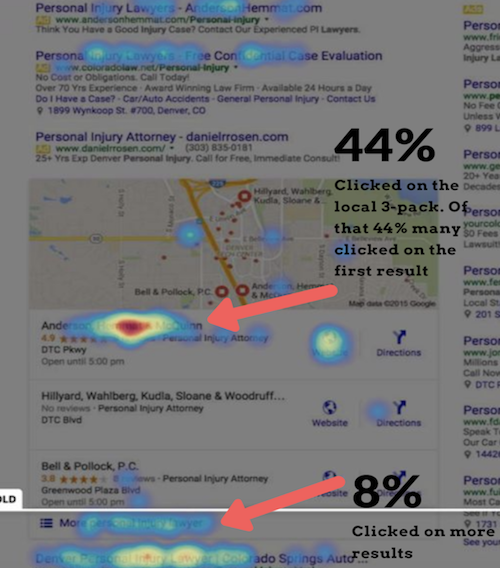 A survey conducted by Moz indicates that being in the top three of the local listings (local 3-Pack) is a highly important factor to gaining foot traffic. From this study we can see that only 8% of consumers are clicking on ‘more’ results while 44% of consumers will make their decision based on the local 3-Pack. This means that if you’re not ranking in the top three, you will only reach a tiny fraction of all local searches. Neil wants to buy a gift for his wife. She mentioned a few weeks back that their home needs a plant. Neil searches for “plants near me’” and has identified Jade’s Flowers as the best fit from the local 3-Pack. The shop has good reviews, has nice photos and is on his way home from work - it’s the perfect fit. The store information says it closes at 7pm. Neil leaves work at 5pm and arrives at the flower shop at 5:15pm. The shop is closed. Jade’s Flowers has new operating times during the holidays but did not update the information online. Neil is not happy. He leaves a negative review and then proceeds to travel 5 minutes down the road to a local competitor where he has a good experience. Neil will shop at the competitor from now on simply because one business provided accurate information and the other did not. Managing your locations over (potentially) hundreds of platforms will result in errors and inaccuracies if not handled carefully. Take Virgin Holidays as an example. It is the UK’s leading transatlantic tour operator with 80+ travel agent locations across the UK. A major problem they needed to address was the manual process of uploading accurate information for each of their locations over multiple online platforms. This process was just too difficult and time consuming for a business with that many locations. Virgin Holidays solved their problem by utilising a location marketing solution that helped them to create and manage the relevant information on all of Virgin Holidays’ 80+ travel agent locations on a network of 100+ worldwide search platforms - including Google, Facebook and Yelp. This has seen a 117% increase in online views and a 73% increase in clicks for the company. >>Take a look at the Virgin Holidays case study for more information on how they were able to increase clicks by 73%. In the 2018 Local Search Ranking Factors Survey, 66% of marketing experts identified Google My Business listings and reviews as the most important foundational elements that will impact the online presence of a local business. If your listings are inaccurate, your customers could receive incorrect operating hours or contact information for their local store, leading to a greater chance of customer dissatisfaction, negative reviews and the loss of future business. Reviews are not only important for local page rankings, but they also provide customers with an insight into how reliable a business is. In an Uberall survey of 1,000 consumers, 45% stated that they had left a review online after making a purchase. A further 34% who submitted a review but did not receive a reply from the business have not shopped there since. Review management is crucial to repeat business. While providing a great product and/or service is obviously important for attracting positive online reviews, managing customer feedback is also the key to changing negative reviews into positive ones. According to research by CRM software company RightNow, one out of every three consumers who receive a retailer response to their online complaint end up reposting a positive review and 34% end up deleting their negative review altogether. >>Take a look at our comprehensive review management guide for more information on how to manage your reviews online and turn negative reviews into positive ones. So you’ve been trying to reach ‘good fit’ prospects through paid advertising but your efforts haven’t had the desired impact? In a study by TechnologyAdvice, it was discovered that 79% of internet users almost never look at online ads and a whopping 90% of users that click on ads never end up following through on a purchase commitment or submitting their contact information. The number one reason given by online users for their lack of advertising engagement is the lack of advertising relevance. These figures show that advertising itself isn’t the problem; advertising relevance is. Gathering data from your local marketing efforts and geo-targeting in your local paid ads will allow you to create better targeted advertising that is more relevant for the customer and will help you to find the ‘good fit’ prospects that you are looking for. When done right, location marketing puts your business in front of more local consumers who are interested in buying your products or services right now. If your advertising spend is failing to bring the right prospects to your doorstep, it might be a good idea to include local advertising to a campaign strategy that includes organic local SEO efforts. Google recently published its insights into consumer habits and one of the more interesting takeaways was that 9 out of 10 consumers are not looking for a specific brand when they begin searching online with their smartphones. This means that, by focusing your efforts on optimising your business information for how consumers are searching online locally today, you are putting your business in the best possible position for 90% of consumers to see and choose your brand. 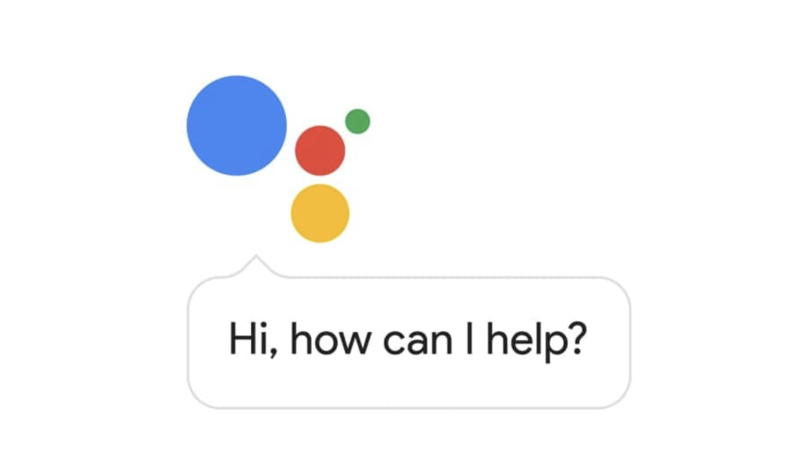 Furthermore, consumers are using voice search and ‘near me’ queries to ask more specific questions and find the exact product or service they need. This requires businesses to think differently about their marketing as consumer questions have become more conversational. For instance, ‘near me’ searches that include the terms ‘can I buy’ (Example: “where can I buy electronics near me”) or ‘to buy’ (Example: “where to buy sports shoes”) have increased by 500% over the last two years. There’s also been an increase in consumers using the terms ‘open’ + ‘now’ + ‘near me’ in search queries (Example: “restaurants near me open now”) - these searches have increased by 200%. By reading this data we can see that, for consumers, search is not just about finding a product or service anymore. Search is about finding a specific thing, in a specific area, at a certain time. The way consumers search online is changing towards more conversational queries and if you want to target consumers more effectively, you will need to optimise your marketing for the rise in ‘near me’ queries and voice search. 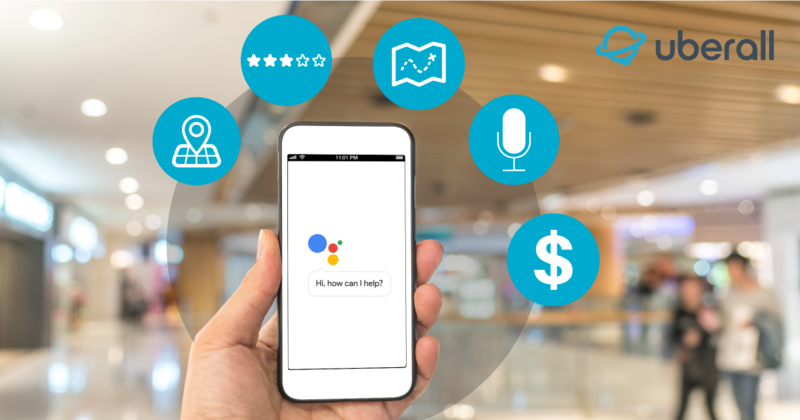 According to Google's most recent data, 1 in 5 mobile searches is currently being conducted via voice and with the increased accuracy of voice recognition software, this is expected to grow exponentially and become essential to consumer purchasing in the near future. For a step-by-step approach to voice optimised listings, take a look at this article on voice search optimisation. Customers are increasingly using online local search as a means to find a way to get what they want right now. Companies that adapt to these changes in behaviour will be better equipped to target potential customers who are ready to make a purchase. This is why location marketing can provide the ultimate ROI and why it’s a must-invest area for future sales growth. If your business aim is to have more ‘good fit’ sales prospects in 2019, more visibility online and an easier way to manage your online presence, Uberall can help you to improve and reach more of the right prospects through the Uberall Location Marketing Cloud. This is not a magic bullet, just smart management of your store locations, company information and brand management.